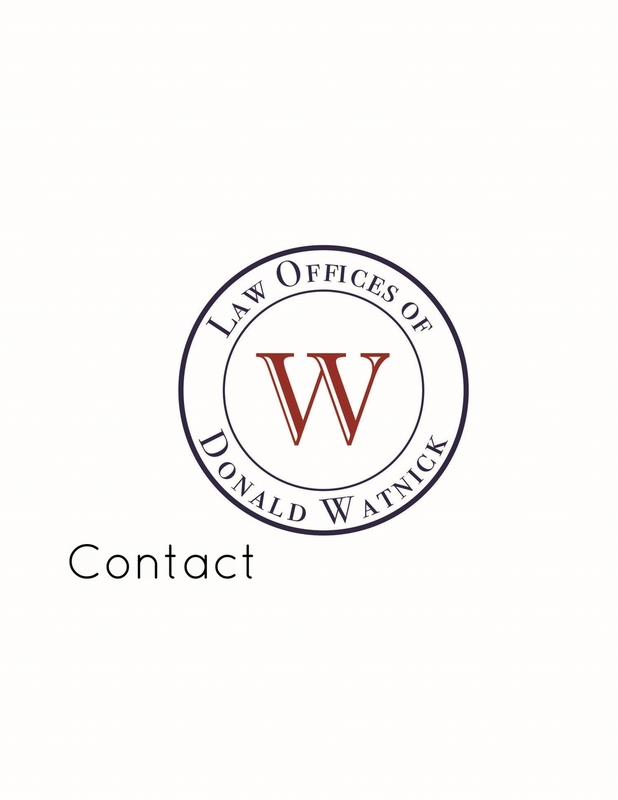 LAW OFFICES OF DONALD WATNICK represents businesses and individuals in commercial and employment litigation and employment-related matters. Our firm's attorneys have over 25 years of experience practicing law , and comfortably handle a wide-variety of litigation matters involving complex business and employment issues, intellectual property and corporate and real estate law. Don Watnick started the firm in 2004 after having practiced at several AmLaw 100 Firms and headed the litigation group for a Fortune 500 technology company. We strive to provide our clients with, sound judgment, personal attention, and aggressive, but measured, experienced advocacy. Our clients include both individuals and companies, large and small alike. Our practice focuses on disputes litigated in New York federal and state courts, including both mediation and arbitration, but we have litigated and provided counsel in cases throughout the U.S. and world. We also regularly provide advice on employment law issues, draft employment related agreements, and fervently negotiate agreement terms on behalf of our clients. Whatever your business-related legal needs, we can help.